In Episode 22 Marx has a conversation with BOSNY. He is a Montreal based graffiti artist and student of print media at Concordia University. In this conversation BOSNY talks about how he started in the graffiti community, the influence his parents had in his creativity explorations, the importance of getting an arts degree and a lot more. Graffiti is one of the artistic expressions that most people consume sometimes willingly and most of the time as part of the landscape. In Episode 22, BOSNY shares his experiences being part of the graffiti community in Montreal and how that feeds into his practice in the visual arts. It was a great pleasure to have had the chance to talk to BOSNY and we hope you enjoy this conversation as much as we have enjoyed producing it. 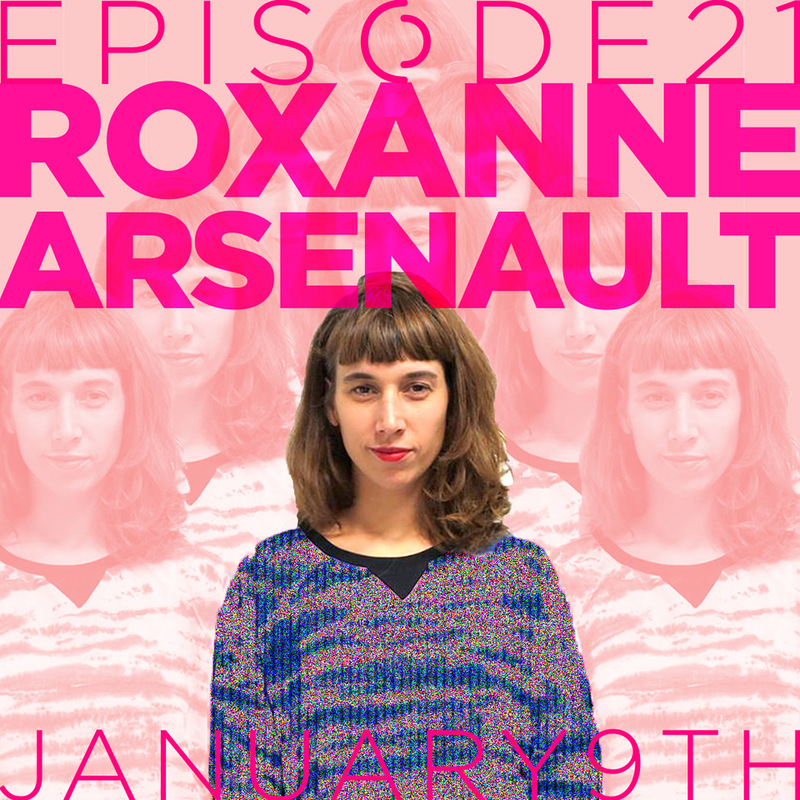 For our first episode of 2019 and overall Episode 21 Marx has a conversation with Roxanne Arsenault. She is the co-general and artistic coordinator, responsible for programming at the artist run center Clark, she also leads a music project called Donzelle and she is involved in many other cultural and artistic projects in the city of Montreal such as Pop Montreal. It was a huge honor to have had the chance to talk to Roxanne and we hope you enjoy this conversation as much as we have enjoyed producing it. On a side note TAP Art Space is accepting project submissions until January 15th of 2019, check out the details in TAP’s website. In Episode 20, Marx has a conversation with painter Erik Nieminen. Erik grew up in Ottawa as a member of a family in which being an artist was encouraged. In 2007 he obtained his BFA from the University of Ottawa and his MFA from Concordia University in 2010. After that he moved to Berlin where he worked for over 4 years, he returned to live and work to Montreal in 2016. His paintings walk on the intersection of abstraction and commonly known forms seen through a filter that ends up distorting them. In this interview he points out that in his work “the content always follows form”. This premise allows him to explore different aspects of a painting with freedom and honesty. Please visit Erik’s website to check out his paintings. His recent solo shows include “The Unreal” at the Albemarle Gallery in London England and earlier this year he presented “Above Below” at the Art Gallery of Outremont in Montreal. 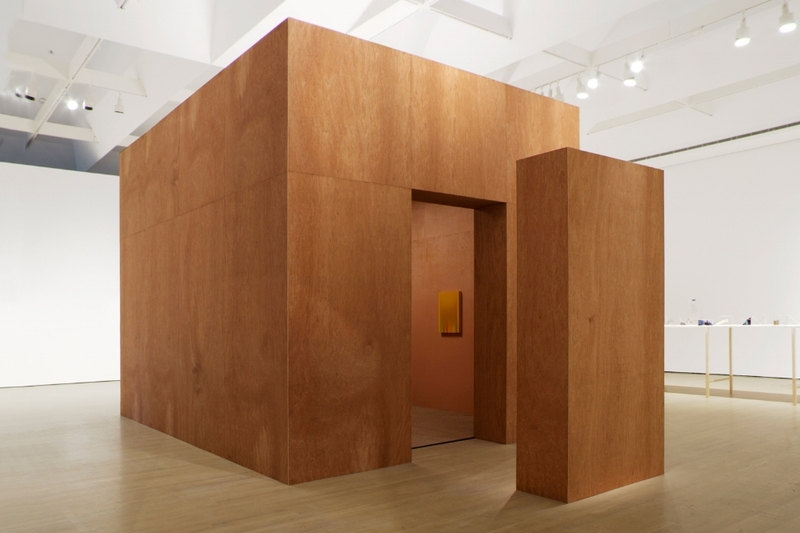 He has participated in several group shows in Berlin, Frankfurt, Montreal, and London. He was recently awarded with the Bombay Sapphire Artisan Series that granted him a ticket to the finals being held in Miami this winter. It was a really enjoyable conversation and we hope you enjoy it as much as we have. 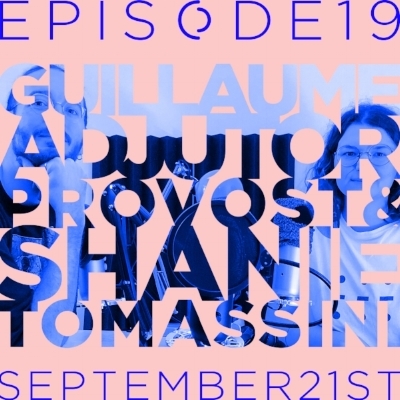 In Episode 19, Marx talks to artists Guillaume Adjutor Provost and Shanie Tomassini about their collaborative show at TAP Art Space called A Witch is Born Out of the True Hungers of Her Time. This show will be the last show of 2018 at the current TAP Art Space location and it will be in view until October 19th of 2018, the programming will be back at the garage at the end of April of 2019. Keep your eyes and ears open for some upcoming exciting news. The title of this exhibition A Witch is Born Out of the True Hungers of Her Time is a quote taken from Ray Bradbury’s short story Drink Entire: Against the Madness of Crowds included in the book Long After Midnight (1976). The story takes place in New York City in the middle of a nocturnal heat wave that forces the main protagonist to ride the night subways in search of a precious cool breeze. Written in the mid-seventies, it is an entangled tale about capitalism under extreme climate, and the pressure for productivity. The short-story becomes loosely a reference in Guillaume Adjutor’s and Shanie’s collaborative exploration on the impact of climate change on eco-anxiety, a type of anxiety that is more generalized than ever. 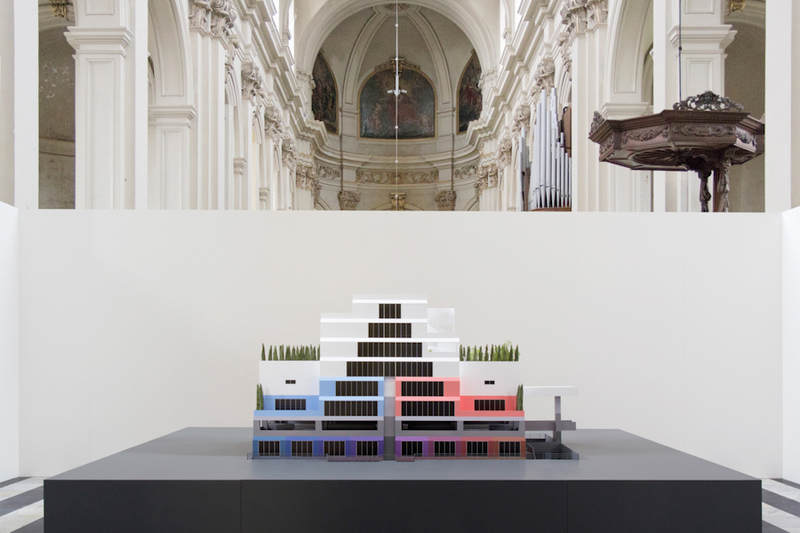 This exhibition proposes that apart from individual actions that feel inconsequential to the mitigation of the problem, there is an urgency to rethink our societal structures; not by putting humanity at the core of the issue but by challenging the systems that enable environmental destruction. If a witch can represent simultaneously an antidote and a poison, the title calls to consider what are the true hungers of our time? Guillaume Adjutor’s practice can be seen as conceptual materialism in which the artist refers to counter-history: Quebec vernacular imagery, queer experiences, poetry, and science-fiction. He works and lives in Montreal. Shanie Tomassini’s sculptures are guided by physical and conceptual attempts to challenge the integrity of objects. 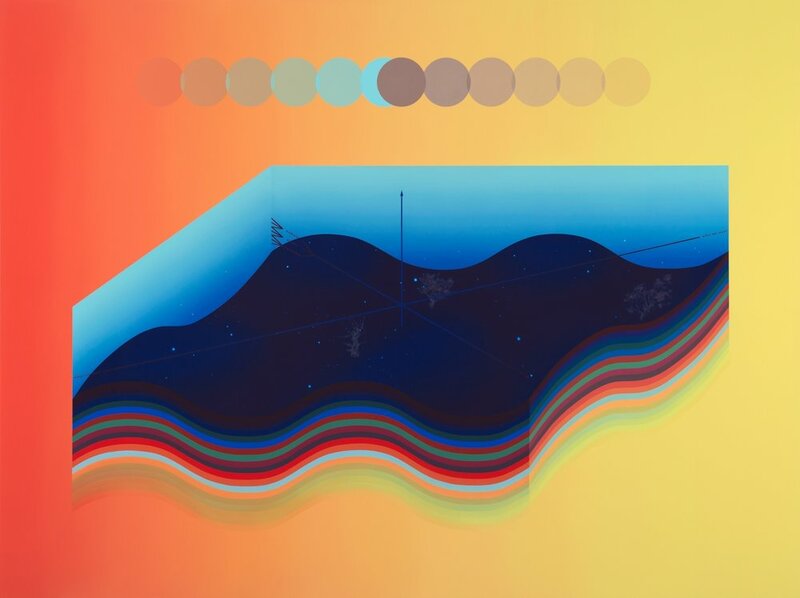 Using a wide array of techniques, Shanie is in a constant pursue of newness by attempting to isolate the substance of a form. She lives in Austin, Texas where she is currently pursuing an MFA. We hope you enjoy this conversation, and as always thanks so much for listening. In Episode 18 of IntoThis Podcast, Marx has a conversation with recently arrived Brooklyn-based painter Benjamin Klein. In this episode Ben shares his non-traditional trajectory to the visual arts, he was a martial artists for many years until he gave in to his strong desire to create paintings. After completing a BA in English Literature at Concordia University it was evident that he needed to change paths, he then made his way to arts school finishing his BFA at Concordia University in 2005, then after a period of time dedicated to the direction of commercial galleries in Montreal, he decided to pursue an MFA at University of Guelph. He was one of the RBC painting competition finalists in 2010 and he was represented by Joyce Yahouda Gallery until it's closure in 2016. In Episode 17 of IntoThis Podcast, Marx has a conversation with Montreal-based visual artist Jeanie Riddle and Montreal-based blogger and instagrammer Dimitri Velasquez. The conversation is centered on the ocassion of the opening of the show Single Family Home For Sale at TAP Art Space in which they collaborated. From a superficial standpoint this collaboration may not seem apparent. Yet, scratching the surface reveals that both artists in their own language speak about memory and the ever-changing stories we tell ourselves to make sense of time passing and experiences lived. Disrupting the formalism of painting, Jeanie Riddle explores the potential offered by installation making, telling stories of distant pasts through the use of objects reminiscent of domestic situations. Dimitri Velasquez in a tongue-in-cheek writing style documents ordinary occurrences in a concise and economical way as if fearing -and rightfully so- memories and thoughts will be distorted, morphed or obliterated altogether. In Single Family Home For Sale, the two artists think about the site where TAP Art Space is located as exactly what the architectural space was meant for, a garage. A place where paintings will collapse with objects signifiers and texts, rendering a narrative of packing and unpacking memories, where the shadows of the past are present and the objects infused with intimate reminders of who we were give us the tools to better understand where are we headed to. 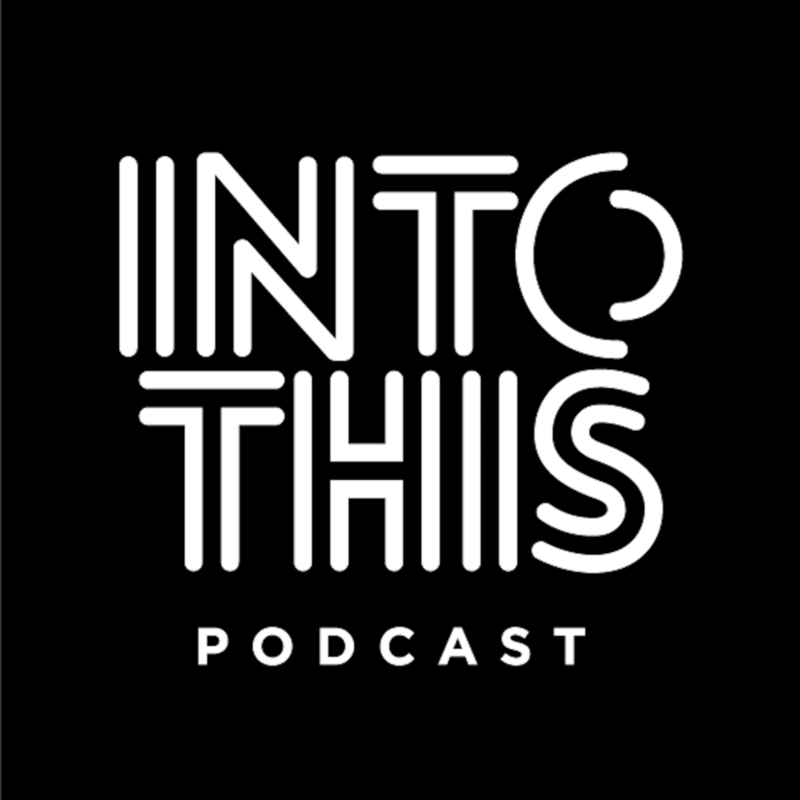 In Episode 16 of IntoThis Podcast, Marx has a very fun and interesting conversation with artists-couple-collective David and Jorden Doody. They are a British Columbia- based collective working mainly in sculpture and textiles. They are interested in the conversations between image and materiality, as they mentioned in this conversation they draw inspiration from a classic approach to sculpture yet being conscious of the screen-culture that social media and the internet era has delivered. They have a BFA from the University of British Columbia, an MFA from Concordia University and they are currently working in a second MFA at UBC. In this conversation they share their insights in being a couple working together as a collective, raising children while being practicing artists, emoji culture and a lot more. This is a special edition of IntoThis Podcast, in Episode 15 Marx has a conversation with Colombian-Canadian artist Laura Acosta and Mexican architect David Jaime about their collaboration in the show called Ser/Viniendo-Be/Coming-De/Venir presented TAP Art Space in view until July 21st of 2018. In this conversation they share many keys to access the show composed by a virtual reality piece and a performance-activated textile-based sculpture. Through this collaboration and informed by their experiences as immigrants to Canada, the artists explore notions of representation, belonging and embodiment of spaces. Utilizing a performance-activated sculpture and virtual reality piece, this exhibition presents a space of liminality in which abstract floating bodies are suspended in a state of repetitive motions and unresolved gestures. Ser/Viniendo-Be/Coming-De/Venir proposes a conversation between physical and intangible realities, where the roles of performer and viewer are blurred as both find themselves in a perpetual loop between being and becoming within the constraints posed by the spaces they inhabit. We hope you enjoy this conversation and please visit the show at TAP Art Space. Thanks so much for listening and enjoy the show! 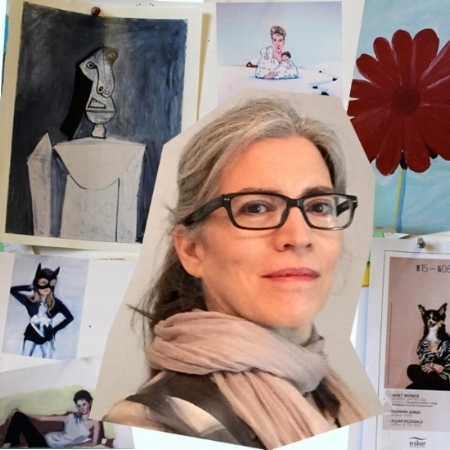 IntoThis Podcast is thrilled to present a conversation between Marx and painter Janet Werner. Originally from Winnipeg in the province of Manitoba, Janet Werner is a Montreal-based painter and professor. She graduated with a BFA from the Maryland Institute College of Art and after she moved to Connecticut to pursue an MFA from Yale University. She has been teaching at Concordia University for over fifteen years. Her work has found a place in public and private collections and she has shown in solo and group exhibitions in a wide range of important galleries and institutions. As Janet shares in this conversation, her work revolves around the idea of human figures. Even though her work is very close to what is usually described as a portrait, the characters in her paintings are usually invented and stem out of abstraction. In this conversation she shares where those portraits are most likely coming from and what does she think of them. A large part of Janet’s time is dedicated to teaching, she also shared with Marx the good, the bad and the okay of being a professor. This is a special edition of IntoThis Podcast, in Episde #13 we present a conversation with artists Marcela Borquez and Raul Aguilar. They opened the inaugural show at TAP Art Space on Friday May 4th of 2018 with the show titled "THE STATE OF OUR EMPLOYABILITY". Throughout this interview we talk about the context surrounding this exhibition making, their personal views on the present conditions of cultural workers and more. Informed by Neo-Marxist theories, this exhibition analyzes in a personal rather than cumulative manner the drastic changes in the concept of work observed in the past decade. Through a series of paintings based on the aesthetics of different massive communication systems and schematic representation of information, the artists scrutinize the effects on the creative work, knowledge-based economy as well as the constantly increasing gig economy. Even though the considerations proposed in this show are the intimate type, the pillow-talk kind of analysis, the same scrutiny could be extrapolated to a wider and more general statement. Thanks so much for listening and we hope you enjoy the show. Quick message to let you know of some change in plans, we'll post Episode #13 next Friday May 11th 2018. We hope to see you at TAP in it's inauguration show. IntoThis Podcast is happy to present Episode #12, a conversation with painter Katerina Pansera. Katerina focuses her explorations in contemporary painting on topics such as spectacle, fantasy narratives and setting. Besides her painting practice she also hosts a radio show called Out Of Lines available once a month in CKUT 90.3 FM, in it she interviews artists, curators, etc. you can find the archives to her interviews by clicking here. In 2015 as a response and critique to the increasing proliferation of privately organized (and expensive) residencies, she founded the De Gaspé Nanoresiency in which an artist is invited to spend 60 minutes in her studio producing art works. For more information about Katerina's work and updates please visit her website. It was amazing to have had the chance to talk to Katerina for the show and we hope you enjoy Episode #12 as much as we did. Thanks for tuning in and as always we hope you enjoy this episode. Julie and Joanie make Episode #11 of IntoThis podcast. In conversation with Marx, they share the framework on which Projet Pangée is based. As an artists run gallery, Project Pangée was design to be different than a commercial gallery and also different than an artist run center, which are the most prevalent spaces for art showing in the province of Quebec. In this interview they also share their opinions on where artists should be showing their work, what drives them to work so hard to promote contemporary arts and a lot more. This is one of the most fun interviews we have posted yet and we hope to have them both over again soon for part 2 of the Projet Pangée team. For more information on their very interesting programming and for any other inquiries please visit their website. In this very generous conversation, Mark Dudiak shares his beginnings in the art world and how important it has been for him to have found in his professors/mentors role models to follow. Navigating the always unpredictable art world can be a wonderful and a rocky endeavour all in a very short period of time. Painter Mark Dudiak shared with Marx his various sources of interest and the mental process by which each of his art projects have to go through before taking form. In a very interesting take, Mark Dudiak defines a professional contemporary artist as the person who has the "antennas up" and that is always bringing to the table ideas and concepts to discuss about. This and much more in this conversation. For more information on Mark Dudiak's world please visit his website. Megan Bradley is the director of Parisian Laundry gallery in Montreal Canada. At a young age she opened her own commercial gallery which helped her not only to learn but experiencing the realities -and hardships- of the art market. After that, she was offered to work for Parisian Laundry, where she has had the chance to perform different tasks arriving recently to the position as director of the gallery. In this conversation she shares her motivations to be part of the art world, what are the responsibilities of the gallery with the artists they represent, what are the realities of the art market in Canada, why art can be considered a religious experience and a lot more. Thanks for listening and enjoy the episode. Visual artist and musician Jackson Darby lives and works in Hamilton, Ontario. In his Montreal days He attended Concordia University and was part of an art collective called MAW. He currently leads an experimental music band named Persons while maintaining active his painting practice. In this conversation, we talked about everything from the beginnings of his music interest when he was only a teenager to his explorations on painting reflecting on his background and the meaning of all those things combined. I enjoyed having this conversation with Jackson and I hope you enjoy listening as well. You can find Persons music clicking here it's FREE! In the last episode of 2017 we have a conversation with writer and curator Loreta Lamargese, she lives and works in New York city at Arsenal Contemporary. She came over to the tiny studio in January of 2017, when she was still working at Division gallery in Montreal. We spend a couple of hours talking about everything from social media self-gratification to the exclusivity of the art world. But mainly we talked about some of the socio-political-economic issues that most of the times are ignored even when we can easily see them standing in front of us basically at all times. This conversation sheds light to Loreta’s critical thinking and leaves the listener thinking in ways in which each of us could effect a small but extremely important change, only if we’d care enough to stand up and do it. Thanks for reading and listening and we’ll see you in 2018. In Episode #6 of IntoThis Podcast we have a conversation with visual artists and co-director of art space soon.tw Jerome Nadeau. After graduating with honours from his BFA in 2014 from Concordia University, he started a publishing house project called soon.tw which up to date has produced three editions, the first features artist Jean-Phillippe Harvey, the second one artist Jeanie Riddle and the third edition explores the work of artist Jean Francois Lauda. As a continuation of his previous project, In 2016 right after completing his MFA in photography from Concordia University, Jerome in collaboration with artists Nicolas Lachance and Jean Francois Lauda, opened art space soon.tw. We hope you enjoy this conversation as much as we did, thanks for listening. IntoThis Podcast is delighted to present our conversation with Montreal artist Nicolas Grenier. With an impressive display of talent, Nicolas lays down a path for self-scrutiny paved with paintings, architectural installations, videos, texts, etc. His works both, seduce and confront the viewer with formalist elements and objective imagery. He holds a BSA from Concordia University and a MFA from the California Institute of the arts. He is represented by Galerie Antoine Ertaskiran in Montreal and by Luis de Jesus Los Angeles in LA. His last show titled Precarious Geographies is open to the public at Antoine Ertaskiran Gallery in Montreal until November 11th of 2017. Promised Land Template (Installation at Commonwealth & Council Los Angeles) 2014. Architectural Installation (Wood, Pulverized Acrylic, Construction Materials, Blocked Skylight, Halogen Lights), Paintings, Cactus. Precarious Geographies on view at Galerie Antione Ertaskiran, Montreal (Canada) until November 11, 2017. Going for it 2017 on the making at Nicola's studio in Montreal. This week in IntoThis Podcast we have the pleasure to present to you the multitalented artist and curator Stephanie Creaghan. As part of a new wave of young cultural entrepreneurs, Stephanie has been deeply involved in the re-shaping of the Montreal art scene, which today offers a view of an abundant and vibrant terrain. Throughout the conversation we had on late November of 2016, Stephanie talks about her early influences in art production, the experience of opening and managing a gallery, and the different roles she has played as a curator and artist. Please feel free to listen and share this episode.